My husband's favorite, and they make me dream of Hawaii. If I can't fly to Kauai every year, I can at least make my house smell like the islands, and my husband happy. 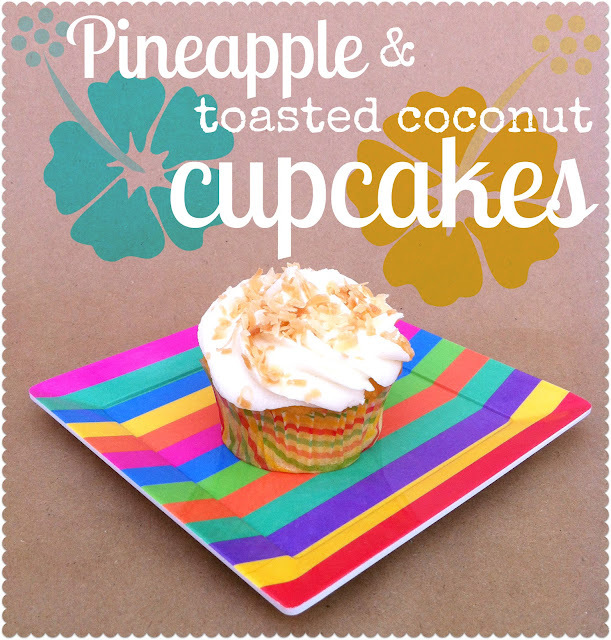 Pineapple cake mix, some doctored up buttercream, plus sweeteened coconut with a tan. That's it. 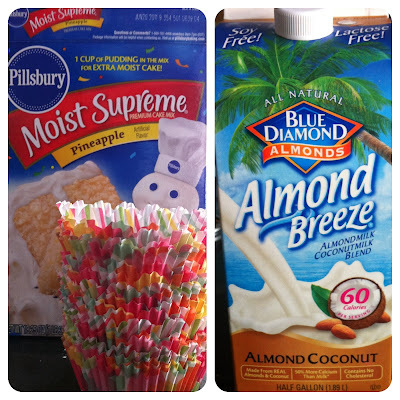 The pineapple cake mix can be hard to find. It is hit or miss for me. Depends on the season, depends on the grocery store. I always stock up when I do find it. If it isn't in your hood, Amazon has it here. I always make 18 instead of the recommended 24. I like my cupcakes big and rounded. I also bake them at 325º for a few more minutes. It seems to help them from flattening out. As for the buttercream, I tweaked this recipe. Piping with a frosting tip is way faster and looks way fancier. I am currently crushing on the big flower tip. Stick a ziploc or pastry bag with the tip already attached in a tall vase to make filling it with frosting much, much, much easier. 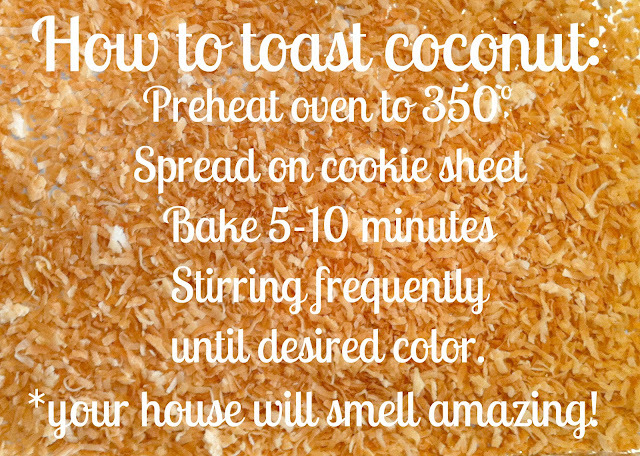 Sweetened coconut is delicious, but toasted coconut is CRAZY DELICIOUS, and also easy and fancy. I spy my favorite print from Pen and Paint. Oh, to be in the islands. Must try these cupcakes!! Thanks! wow, my family would love it if i made these! just stick to the straight from the box strawberry ones if i have to make them. a baker, and bribe her to make them for me. make cupcakes. they aren't even in my kitchen. sad. These might rival salted caramel cupcakes! I brought those to a local store's scrapbook night and got dubbed the cupcake lady. Those have been requested, but I'm thinking of adding these too! Thanks for the recipe and your frequent posts, I love summer! I make a very similar cupcake. I'm baking them for a friend's wedding on the 4th of July. 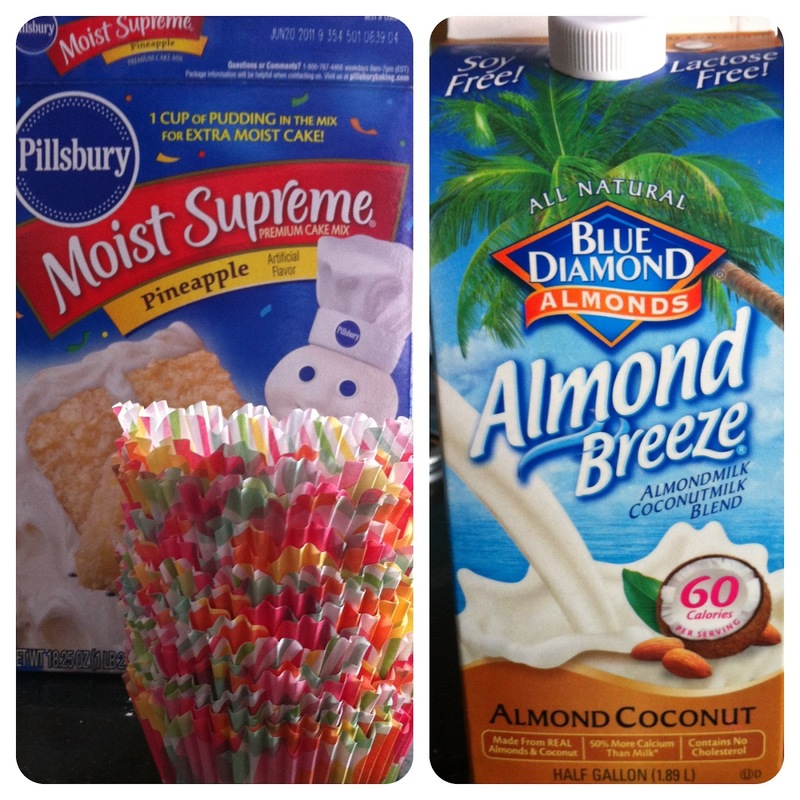 Sometimes I cheat and use that cake mix, but it's so hard to find. Luckily I have a crazy easy from scratch recipe. Coconut is dead to me. Take the filthiness off the top and we can talk. coconuts...meh. kauai...now we're talking. i've been going there since i was a kid, but now that i have kids and we're the ones funding said vacation...not so much. don't watch "the desendants." it'll make you miss the shore line and that wonderful drive from poipu to hanalei, not to mention the shaved ice lady. Where did you find that cake mix here in the OC?